SUGGESTED USAGE: Work several drops between your palms and massage into the desired area. Condi.. Condition: In need of an all-naturall emollient. 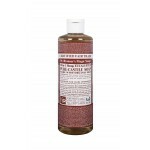 Solution: 100% Pure Castor Oil is expeller-pre.. 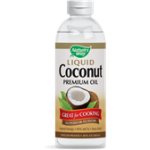 Pure Expeller Pressed Oil From premium, non-GMO coconuts Non-hydrogenated; No trans fat Hex.. Ingredients: Water, Organic Coconut Oil, Potassium Hydroxide, Organic Olive Oil, Organic Fair Dea.. 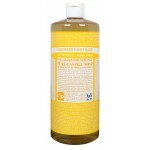 Ingredients: Water, Organic Coconut Oil, Potassium Hydroxide, Organic Olive Oil, Organic Orange O.. 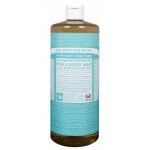 Ingredients: Water, Organic Coconut Oil, Potassium Hydroxide, Organic Olive Oil, Lavender Ex..
Dr. Bronner's Pure-Castile Soap Eucalyptus 16 oz. INGREDIENTS: Water, Organic Coconut Oil, Potassium Hydroxide, Organic Olive Oil, Organic Eucalypt.. Condition: Rough skin, simple cosmetic application. 100% pure versatile skin care softens &am.. Condition: Rough skin, simplecosmetic applications. Softens & moisturizes multi-purpose .. Conditions: Sensitive skin in need of an all natural moisturizer and protection from premature ag.. 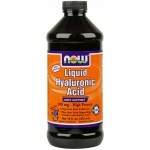 SUGGESTED USAGE: Take 1 tablespoon 1 to 2 times daily. Can be taken directly,or mixed with wate.. Condition: In need of healthier hair, softer skin, or oil for general bath care and massage. Ex..